The American Mathematics Competitions, organized by the Mathematical Association of America. The National Association of Math Circles, a project of the Mathematical Sciences Research Institute. There are also a number of problem collections from the MSRI Mathematical Circles Library, available from the American Mathematical Society bookstore. The Math Teachers' Circle Network, a project of the American Institute Mathematics. The National Council of Teachers of Mathematics, which includes a problem calendar in their journal Mathematics Teacher. The Art and Craft of Problem Solving, by Paul Zeitz: a excellent book by a great lover and teacher of problem solving. Problems from the above sources have sometimes been adapted for use on Collaborative Mathematics. Other problems are original, coming from my personal experiences and conversations with other problem solvers. 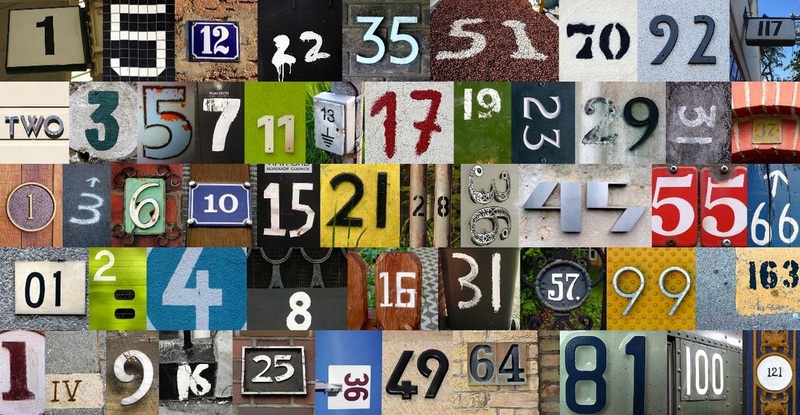 The photos that have been used in the number montages are mostly images from flickr artists, used under either a Creative Commons Attribution license or a Creative Commons Attribution-ShareAlike license. Their use here is licensed under the same Creative Commons Attribution-ShareAlike license. --- Images on page "Information for Teachers and Parents". --- Images on page "Curriculum". --- Images on page "Challenge Archive". --- Images on page "About the Project". --- Images on page "Contact Us".